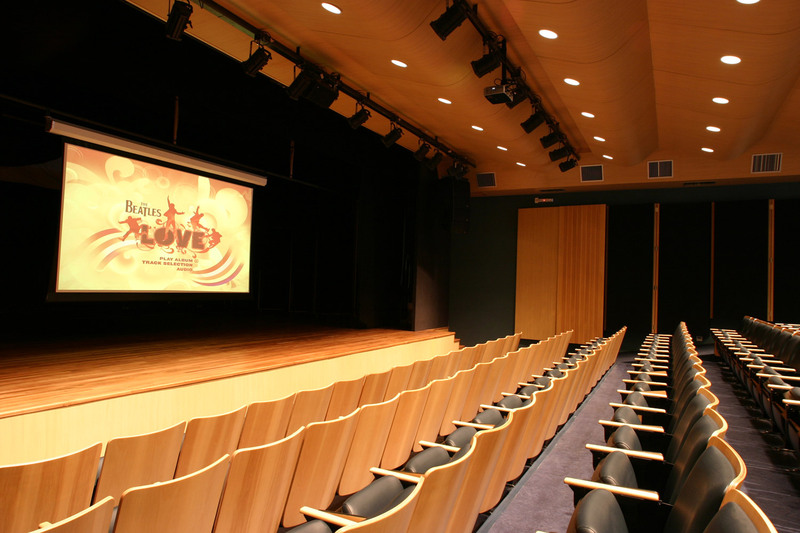 Inhotim is the largest open-air museum of contemporary art in the word, located at Brumadinho a city nearby Belo Horizonte, Brazil. 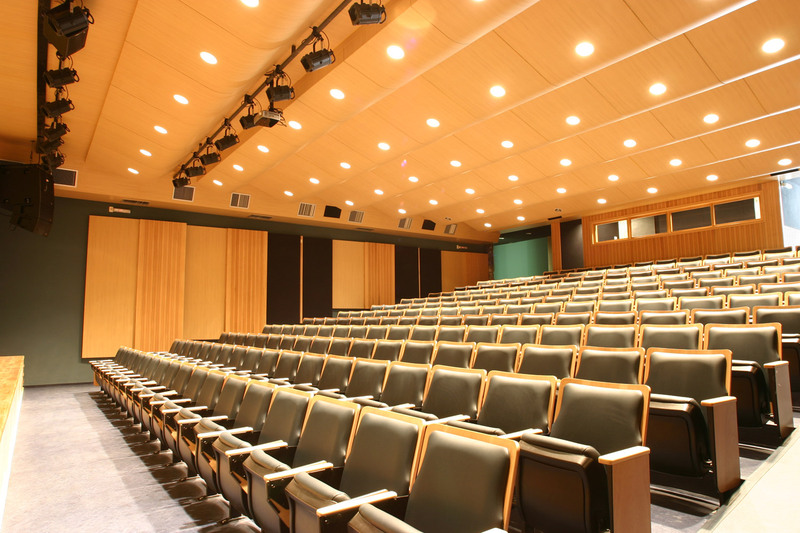 It has the most important contemporary art collections nowadays in the world. 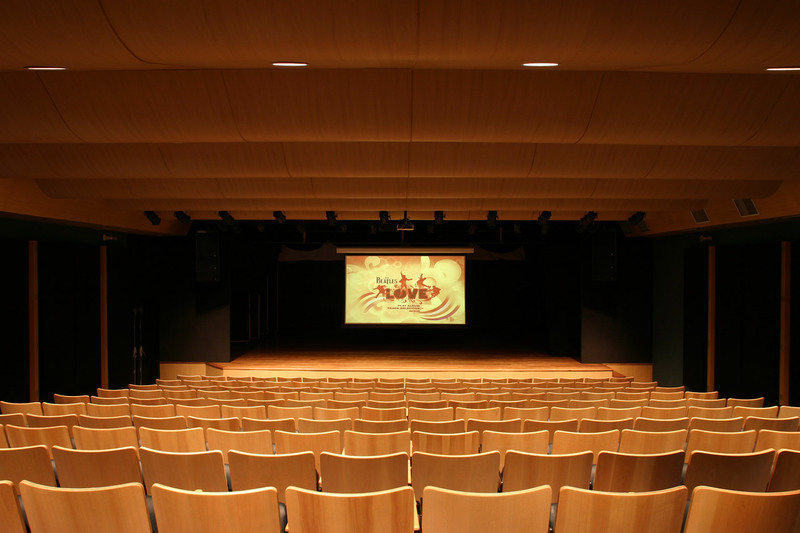 Besides that the foundation also works on cultural, social and environmental conscious projects and events. 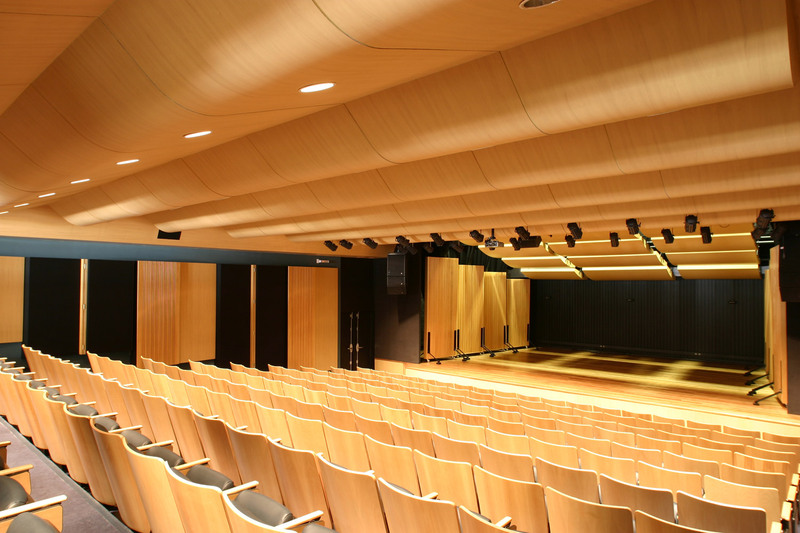 They needed to expand the museum facility by adding a small world-class theater; WSDG was invited to meet the client’s expectations for the new building. 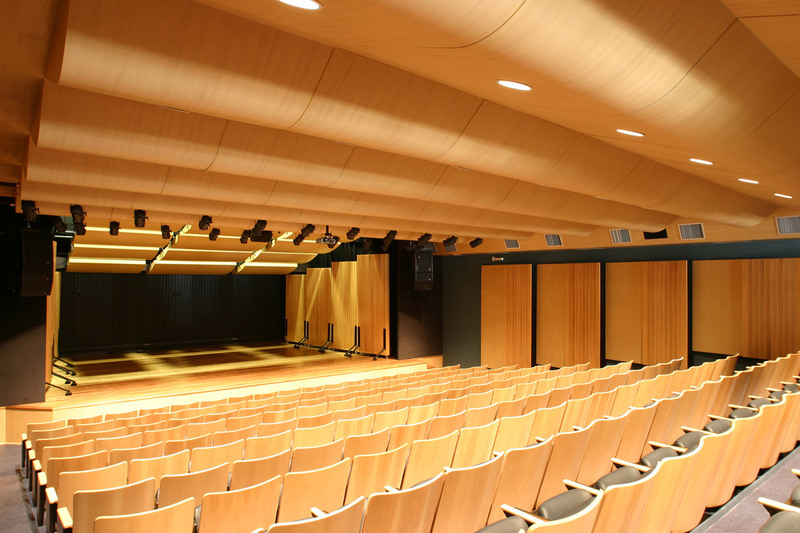 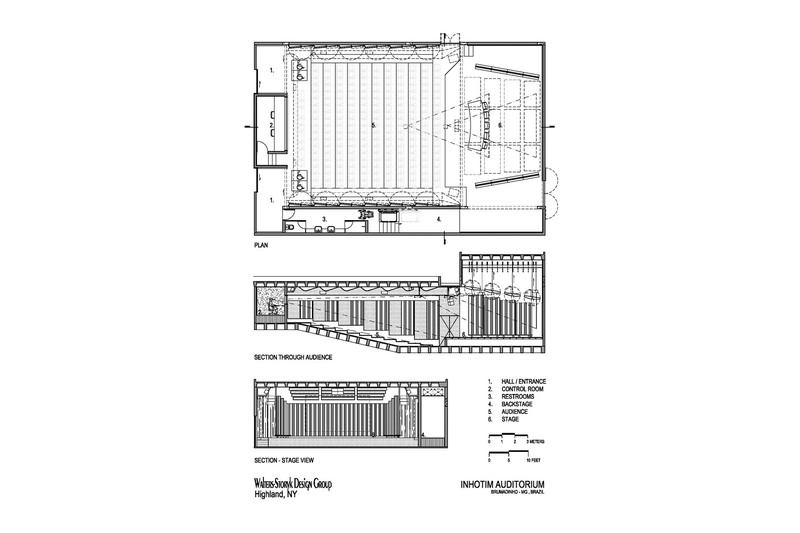 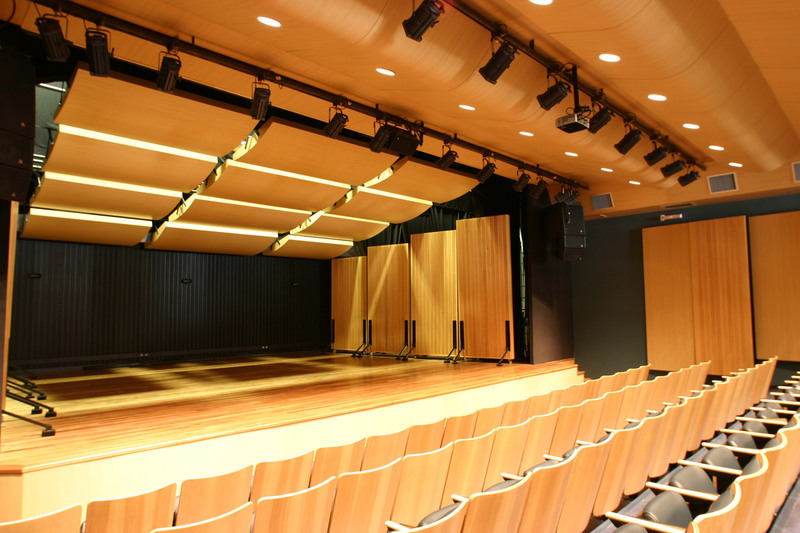 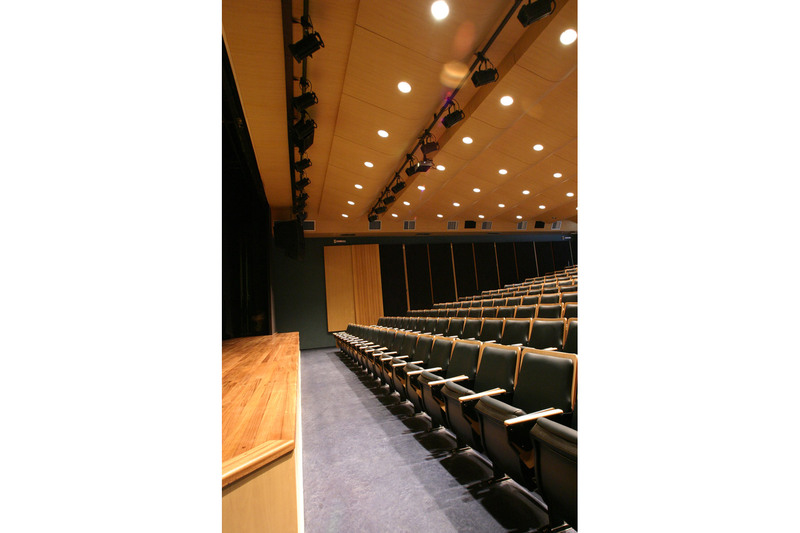 The 250-seat space was designed to accommodate various types of music presentations, plays and art-oriented movies. 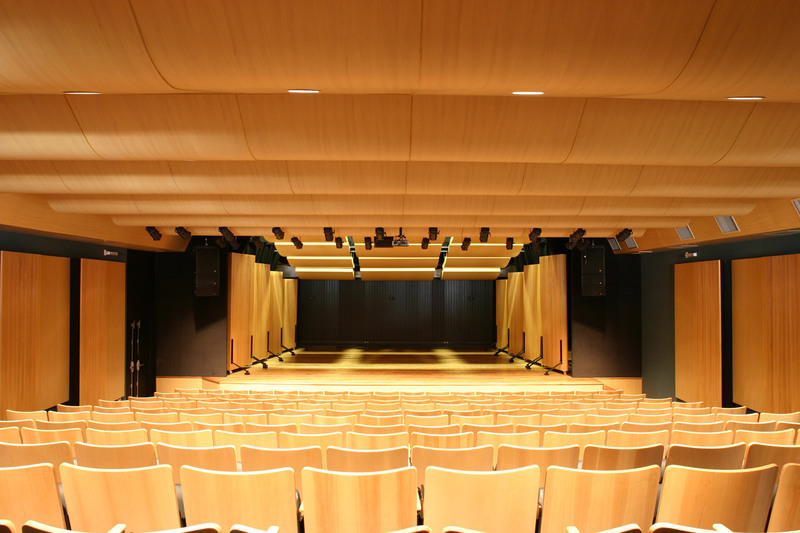 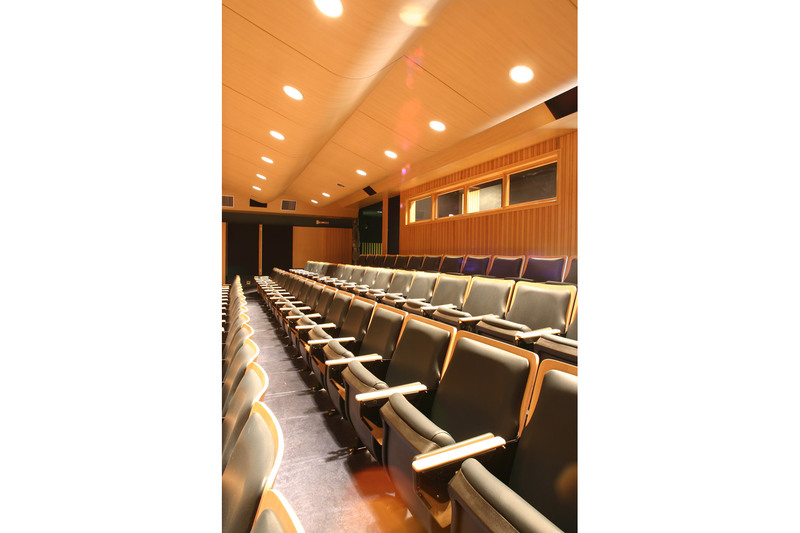 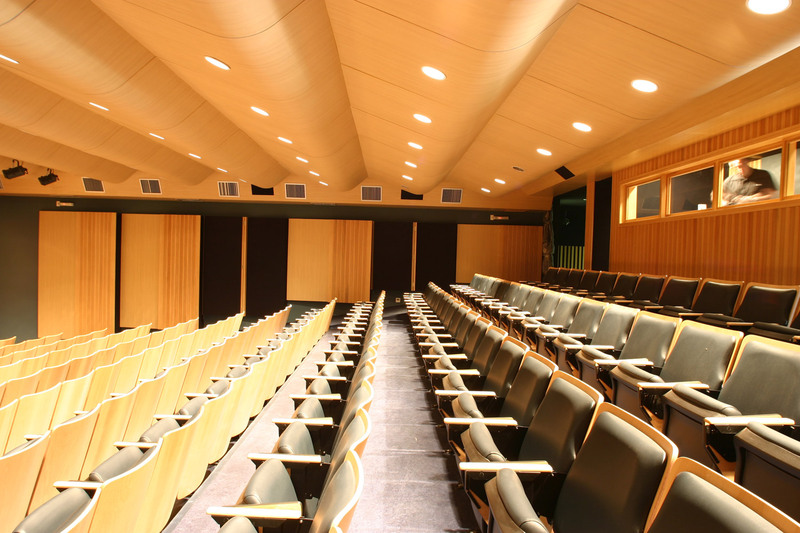 To achieve that, a series of variable acoustic panels, including an acoustic orchestra shell were installed. 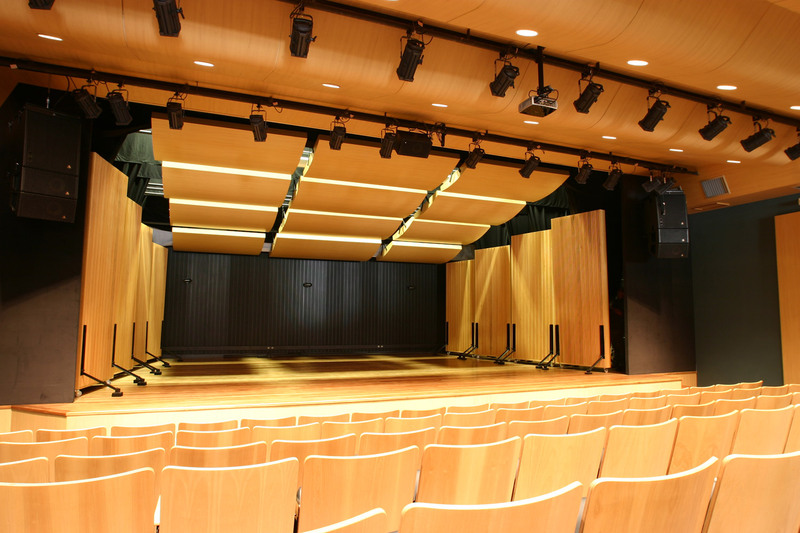 WSDG was responsible for all the acoustic design including construction and integration of the 7.1 surround audio system.